Possessing silky skills, a visionary eye and a laser-like determination Tash has been making ground-breaking wines since 1992 - wines that are quite simply… outstanding! French Kiss is a blend of three varieties indigenous to France, with incredible flavour concentration. Overflowing with fresh fruit characters of plums and raspberries. Italian Kiss is crafted from Pinot Gris and Arneis, is full to the brim with vibrant fruit expression and sheer jump-out-of-the glass lusciousness. 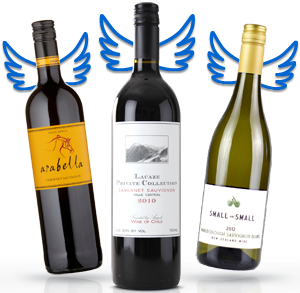 Tash is giving you the chance to be one of the first Angels to try her exceptional Adelaide Hills wines. Only tiny volumes made… these are sure to fly! Tash Mooney’s Italian Kiss is a delicious blend of Pinot Gris and Arneis. The grapes were picked separately in the vineyard, the Juice being kept cold and fresh, and then made with minimal intervention and filtration to ensure we have maximum fruit intensity coming into the glass. This wine is fresh and vibrant with flavours of nectarine and pear, and a hint of passionfruit aromas too, so it’s perfect warm weather drinking. Tash made this wine to be extremely expressive of the fruit in the vineyard. It gives the drinker a fresh experience that shows an excellent blend of three varieties indigenous to Franceto give Angels three times the flavour. The French Kiss comes from older vines - between 20 and 30 years of age - in the Adelaide Hills and Barossa Valley. Older vines produce more concentration of fruit flavour but less volume of fruit and therefore less volume of wine. 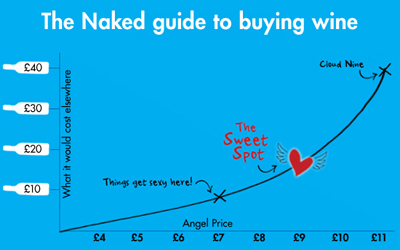 The French Kiss is unique in that it can offer the angels an old vine experience - at a great price. Incredible flavour concentration. Overflowing with characters of fresh fruit, plums and raspberries, this oh-sooo-vibrant red is crying out for wood fired pizza with prosciutto or fresh basil pesto pasta. A fresh style to drink young while it’s full of red fruits and yumminess!